Hi everyone! My name is John Hoffman, and I'm a chiptune composer from Canada. My specialty lies in working with tracker programs such as LSDj and Famitracker to compose songs that sound like they came from games on the Gameboy or NES. I use my extensive musical theoretical knowledge and emotions to make unique, catchy music that invites audiences to listen over and over. SUPER RETRO MAKER is a game where you design stages based on the styles of your favorite NES platformers and share them with your friends. It's a an 8-bit smorgasbord of epic proportions that is sure to entertain retro aficionados in 2018 and beyond. Listen to the preview of the OST here! 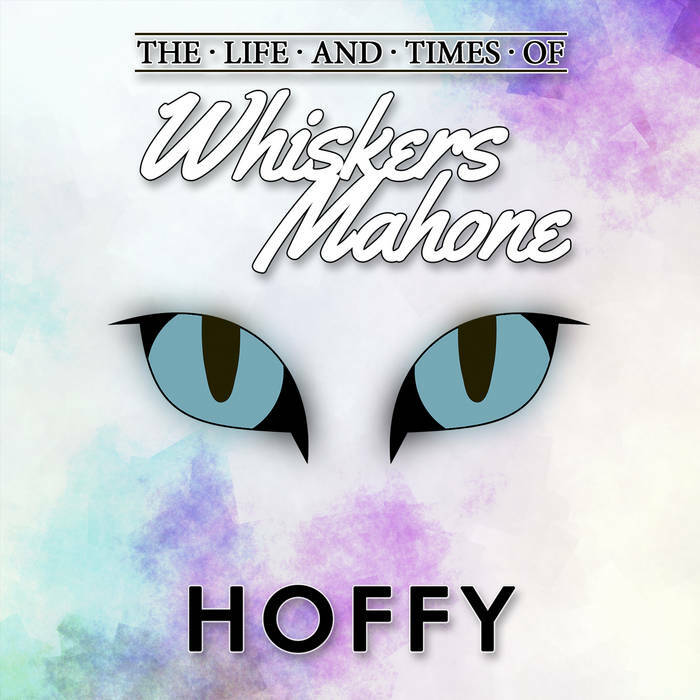 "THE LIFE AND TIMES OF WHISKERS MAHONE" is a full-length chiptune album that musically summarizes the life of a beloved pet that I had to put to rest in May of 2016. In this album, you'll hear prog rock, jazz and cinematic influences that seamlessly combine to paint a unique sonic experience you will not find anywhere else. "BOUNDARYMEN VOLUME 1" is part one of a duology that's essentially a love-letter to the retro games of my childhood. Or at least, it started out that way before I felt it needed to also stand apart from the games that influenced its composition (Mega Man, Castlevania etc). By combining my progressive rock tendencies with jazzy chord progressions, I feel I've achieved that. "FLIGHT OF SHIRODEYARU" is a sprawling, epic single that ties into Boundarymen. SOUNDCLOUD: This is where I post all of my composition sketches. From time to time I might even post things that are WIPs. As your game's composer, the atmosphere and narrative you are trying to convey is my number-one priority -- and I communicate extensively with my clients to get a very deep sense of what the game's soundtrack requires. My second priority is making your game have the very best soundtrack that it can have, given your budget. Music is currently my full-time focus, so you'll get nothing less than my undivided attention until your soundtrack is complete. My pricing varies based on the value of the project and your budget. Please contact me for more details! 20$ a minute doesn't seem like a lot in my opinion. Isn't the industry standard like 60$ a minute or something. I think you could probably ask for more than this and still get gigs. Thanks Ziska. I probably could ask for more, but seeing as my portfolio is made up of passion projects, I need to give devs that extra bit of incentive to try me out. I'm currently short on work, so anything is better than nothing. In most circumstances I would just add the completed OST to my bandcamp (unless devs are able to buy an exclusive license to the music). UPDATE: for future communications, please contact me at [email protected]. Still looking for new projects! UPDATE: As a result of some major changes in my life, I must now change my rates to $60 per minute of audio. In the spirit of always having something new and fun to listen to when I update my portfolio thread, here's something that is sure to tickle the ears. Hey guys! It's a little known fact that I do a bit of sound design as well. On my itch.io page, I'm hosting a free set of sound effects you can use for a retro-styled title screen menu. They were all made with NES limitations in mind. Here's a preview of the samples, if you'd like to audition them before downloading them. Hello everyone! It's been a while since I've posted anything. I don't have anything new to share at the moment, but I am still looking for more projects to get involved with. Get a hold of me while I'm still free! Still looking for projects while I have time open here. Let's help each other out! Hey everyone! I'm pretty excited to share a slice of what I've been working on for the majority of 2017: an OST for an NES-styled game where you build your own levels in the style of famous retro platformers and then share them with the world. It's called Super Retro Maker. I'm prospecting for some new potential projects in 2018. Please consider contacting me if you're interested in my services! Hi, everyone. I'm now officially open for more work again and looking for the next great adventure to embark on with a developer. Please get in touch with me at [email protected] and let's work something out! Bumping for posterity. I'm still looking for new games to contribute music to! Please message me at [email protected] for inquiries. Thank you! Still looking for new projects! Please get a hold of me at [email protected] for inquiries. Thank you! I figured I would show a clip from an upcoming album I've been working on that's neither chiptune or retro styled! If you'd like something like this, or something more antiquated for your game, you can get a hold of me at [email protected] for inquiries. Thank you!